Do you like platforming and jumping on enemies, shooting spaceships like in an arcade, collecting orbs in a labyrinth, or hacl and slash like a masked ninja?! Check out 'Concursion' brought to you by Puuba with Christopher Hoag's cool OST. 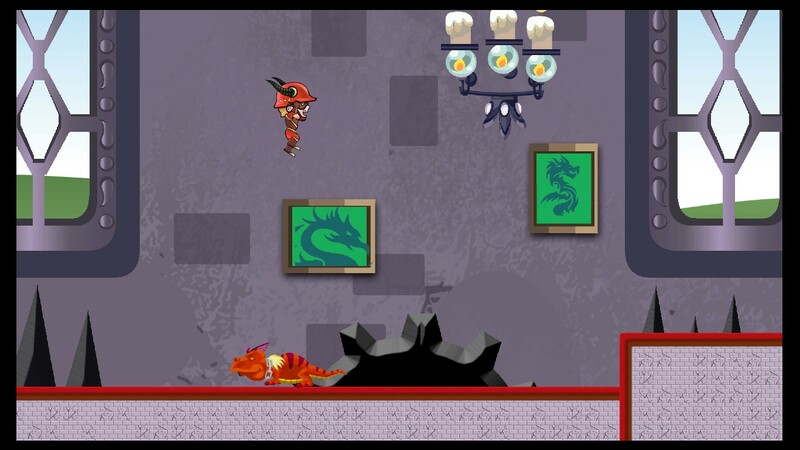 Set in a fantasy sidescrolling world, this bad guy dragon-like creature steals the princess... Yeap you know it. You get a letter from another character who is part of the royal guard and notified about the catastrophy this Dark Lord Biganbad has provoked, apparently these magical crystals are everywhere and creating vortex to different environments. Your mission of course is to collect these crystals around each level and at the end rescue princess HoneyBluff! The game works as you sidecroll through levels and jump on platforms and enemies, until you find these tear holes that will CHANGE your character the second your are in and will revert back the second you are out of it. Some will even be bigger and change the entirety of the scenario, each one involves changing the genre of the game. 5 GENRES! Oh boy here we go! Platformer: Oldschool and challenging with predictable AI movements. Jetpack: Zero gravity time! You might be familiar with these controls if you know that iOS game. Enemies are quite difficult to understand in accordance with these controls. 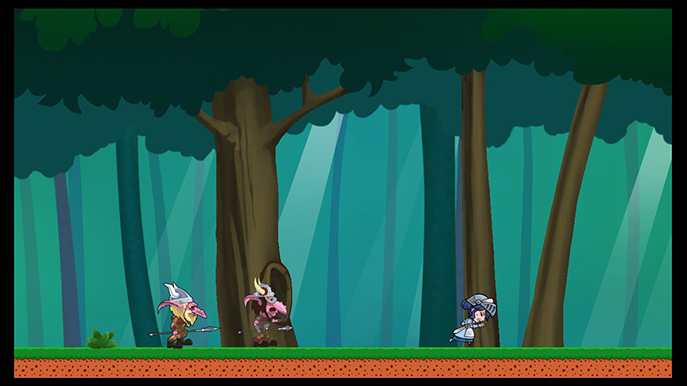 Hack-n-slash: Oh yeah! Its like those many oldschool ninja games with scarfs! Only that this time you can slash in many directions very smoothly and time your attacks. 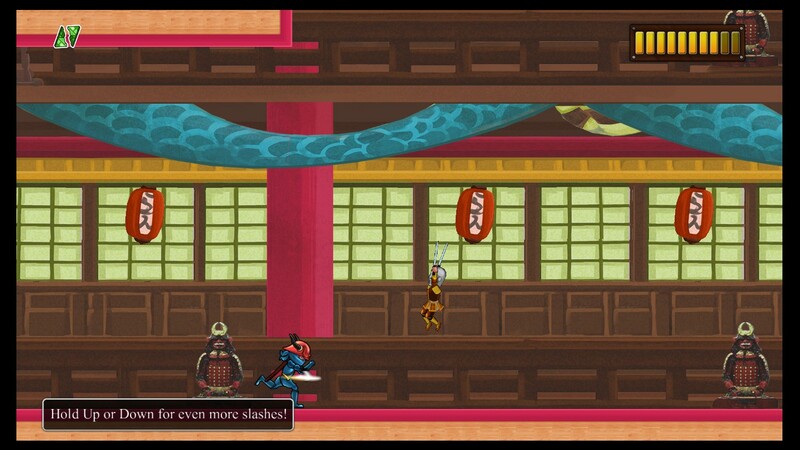 Scenario is very oriental with many samurai and ninjas attacking you in different patterns. Trust your inner ninja and you shall prevail, huaaaa! 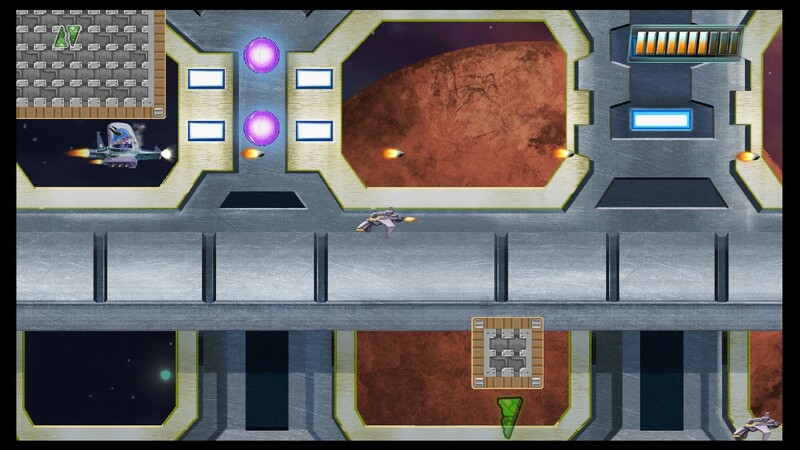 Shooter: Arcade space shooter that might be a bit simple but will test your aim in the game. Different enemies, different shooting angles. Maze puzzle: Collect the orbs vertically or horizontally inside a maze with enemies and life containers, get them all or stay out! As I mentioned before, its not always huge amounts of genre changes, its a fun concept but what would be the fun it anyways? That's why the devs chosed to add small tears inside other genres so you have to progress a level with other specific abilities. Uh... To put it simple: Platform genre, oh wait that looks really high and I may not be able to jump it! Wait a sec... that looks like a space tear! Jump in and boost your jump with the jetpack for a split second and achieve your goal! The game is generous with Life Replenish and from checkpoints as well. 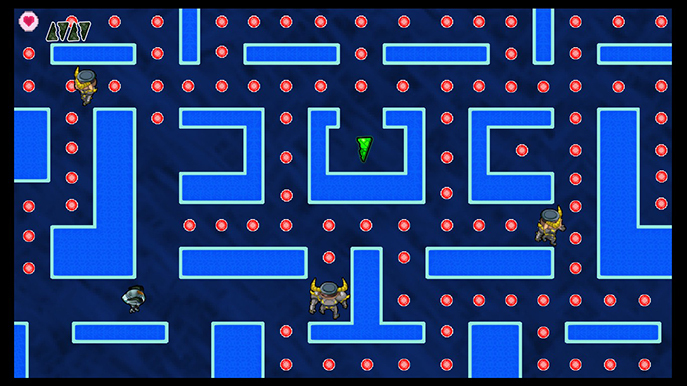 Although levels with many space warps can get glitchy and make the game flash between colors and black screens making it really difficult to complete, try collecting the orbs in a labyrinth with the lights turned off and you can only see the orbs and enemies. Would be of great use to have a wider variety of video settings to avoid compatibility issues. The OST works in a very peculiar way as it changes in between the game modes! The instruments and synths of a level's melody change as you enter different worlds. So enjoy some great tunes. Concursion is a challenging game with a simple yet charismatic art style applied to fun and clever mechanics. Now go save that princess! ...Again!